Taiyania Thompson was a bubbly 16-year-old who knew every song on the radio. Steven Slaughter, a 14-year-old, loved football and dreamed of playing professionally. Both of the teenagers’ lives were cut short last month. More than half of the homicide victims in Washington, D.C. so far this year have been under age 19, a News4 analysis of Metropolitan Police Department data shows. Five teenagers, one infant and five adults have been killed. A 1-year-old girl who died of blunt force trauma is among the six young people declared homicide victims in the first month of 2018. The other five people -- four teenage boys and one teenage girl -- were shot to death. MPD Patrol Chief Robert Contee said access to guns combined with the root causes of violence, including untreated mental health issues, are leading to the deaths of young people. "In a lot of these cases, we have young people who are unable to resolve conflict. When you add a gun to that, you have a deadly situation," he said in an interview Thursday. Four of the crimes occurred in Ward 7 and Ward 8, with two crimes in each ward. The two others occurred in Ward 4 and Ward 5. James Colter, 17, was shot Dec. 9, 2016 in the 5000 block of Jay Street NE. He died of his injuries more than a year later, on Jan. 6. His death was ruled a homicide that police counted toward the 2018 total. Paris Brown, 19, was shot and killed Jan. 10 in the 2400 block of Skyland Place SE. Two days later, Davon Fisher, 17, died after he was shot in the 400 block of Riggs Road NE on Jan. 12. Two men were hurt in the same shooting, which occurred inside a home. News4's Mark Segraves takes a look at D.C.'s crime statistics for 2017. Another two days later, Steven Slaughter, 14, died after he was shot Jan. 14 in the 1700 block of Minnesota Avenue SE. The ninth-grader was walking home from a corner store with a friend. He was "the best kid ever," his mother said. On Jan. 25, Taiyania Thompson, 16, was shot in the head inside a home in the 1000 block of Mt. Olivet Road NE. She died three days later. 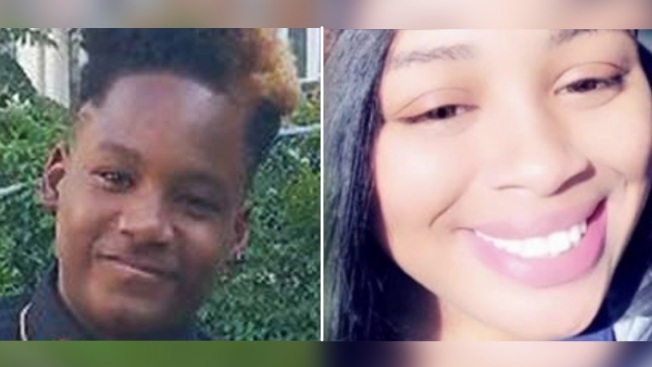 Her boyfriend, 18-year-old Dekale Bowman, told a friend he accidentally shot the high school student, an arrest affidavit says. Bowman was charged with second-degree murder. Thompson was friendly and caring, and often visited her father’s grave. He died after he was shot when he was 17. Rhythm Fields, a 1-year-old girl, was found dead in a home in the 5400 block of C Street SE on March 21, 2017. A medical examiner ruled she died of blunt force trauma, and the case was classified as a homicide on Jan. 29. Police have not announced an arrest. Additionally, an investigation is underway into the death of a 17-year-old boy with special needs. Joevon Smith died on Jan. 29, nearly three weeks after he was attacked in a classroom at Ballou High School, in Southeast D.C. The cause of his death is still unclear, and the case is not a homicide. A child even younger, 12-year-old Stormiyah Denson-Jackson, died on Jan. 23 of an apparent suicide at The SEED Public Charter School of Washington, also in Southeast D.C. Her mother told News4 she was bullied. The family members of other students said bullying is rampant at the school. 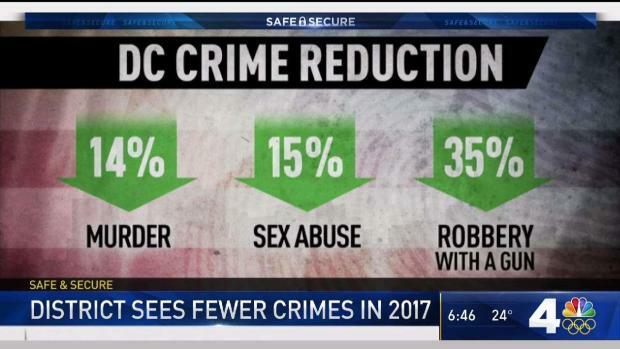 Overall, violent crime in D.C. dropped 22 percent in 2017 compared to the previous year, including a 14 percent reduction in homicides, Mayor Muriel Bowser and Police Chief Peter Newsham announced earlier this month. 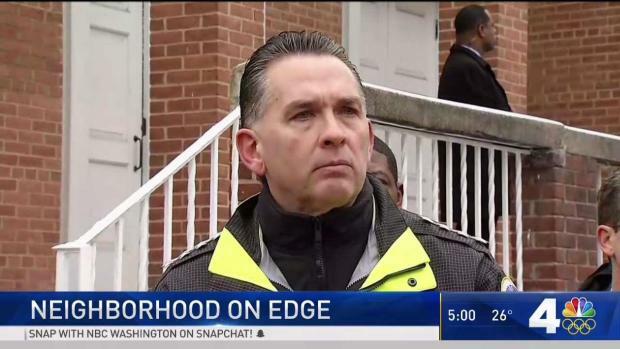 As D.C.'s mayor and police chief spoke about the shooting death of a teenage boy, another four people were shot. News4's Pat Collins reports. There were 116 homicides in the city in 2017, and 71 percent of those cases were closed, Newsham said. Contee, the MPD patrol chief, called for city residents to mentor and advocate for young people. The more interaction that adults can have with young people, the more they can identify and address the root causes of violence, he said. Still, that might not be enough. “Unfortunately, this won’t be the last time we see a violent incident involving a young person,” Contee said.